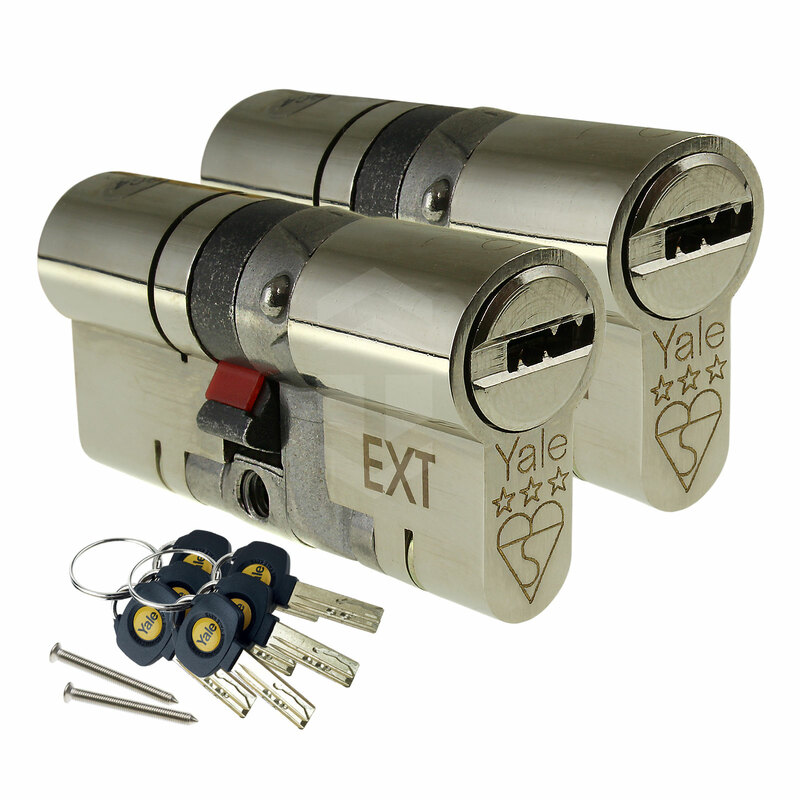 Product information "Yale Platinum 3 Star Keyed-Alike Euro Cylinders"
Get 3* security with same-key convenience! 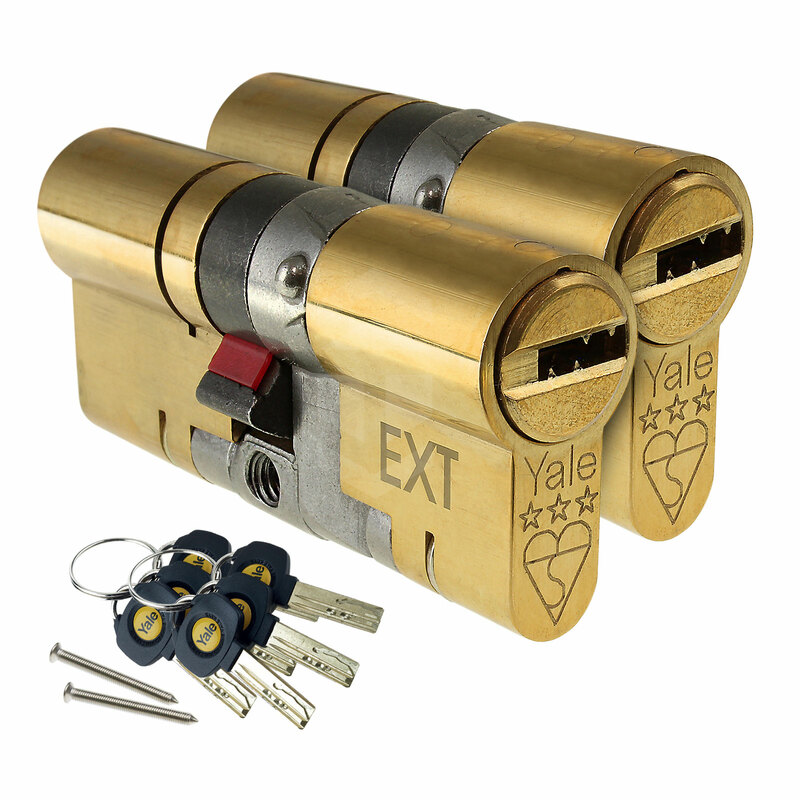 Pair of Maximum security TS007:2014 3 Star euro cylinder locks that use the same keys. Ideal for double doors plus front/back and porch/front combinations. Protect against Lock Snapping, Bumping, Picking, Plug Pull, Extraction and Drilling. 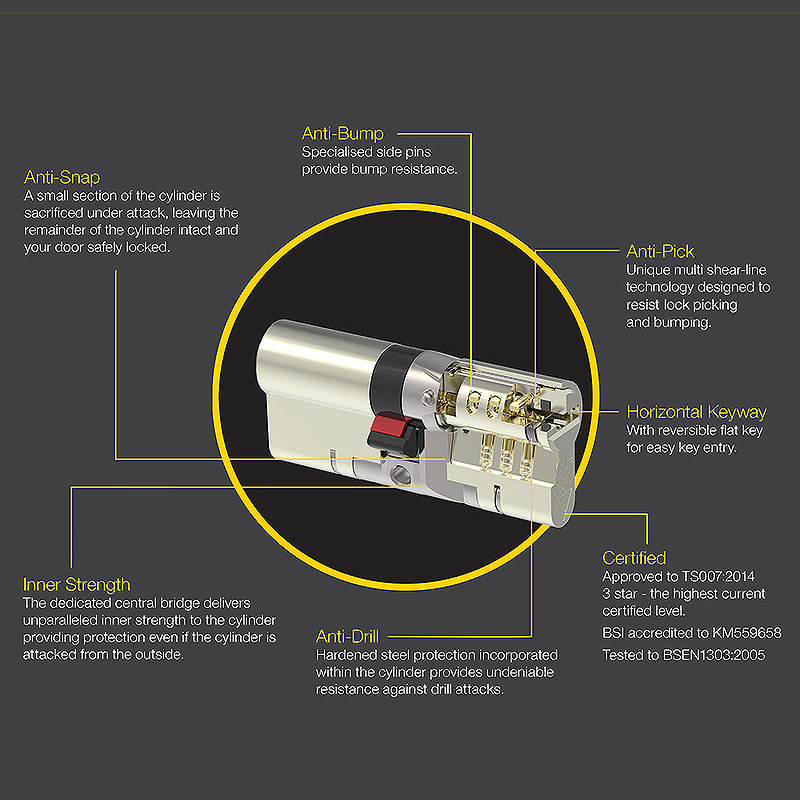 Manufactured by Yale, the worlds most trusted brand, our latest security cylinder comes with a unique 10 year guarantee; further proof that this is the lock to choose when securing your home or workplace. These keyed-alike double cylinder (key operated at both ends) are also available as individual cylinders or with a thumbturn twist lock on the inside. The Yale Platinum 3 Star euro cylinder (successor to Yale AS Platinum) provides superior stength against known attack methods. Tested by BSI, it has been awarded the British Kitemarked TS2007:2014 3 star accreditation, which is identified on the face of the cylinder as an effective visual deterrent. The TS007 security standard is characterised by a 3 star rating, which can be achieved by combining a 1 star cylinder with a 2 star door furniture or using a stand alone 3 star cylinder, like this Platinum cylinder. 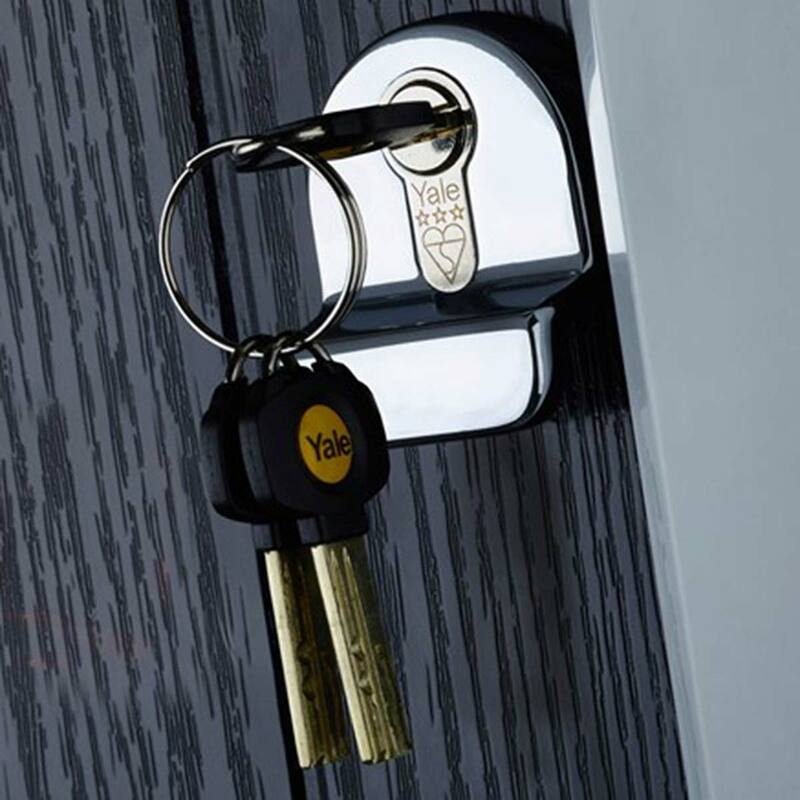 It’s not just the technological advances within the cylinder that make the Yale Platinum a great choice, key security has also been improved. The high security dimple cut flat key is reversible meaning that it’s easier to use and extra keys can be ordered using a key code on the ID tag supplied. EXTRA KEYS - 6 keys are provided with these keyed-alike pairs as standard. Additional keys, which are cut using genuine Yale blanks, can be supplied if required. Please note that extra keys are a nonrefundable bespoke service. Each pair of keyed-alike cylinders is supplied with: 2 x Yale Platinum 3* Euro Cylinder Locks, 6 x dimple and groove keys with key code card and two fixing screws. Keys Dimple & Groove keys with 100,000 differs and keycode card. 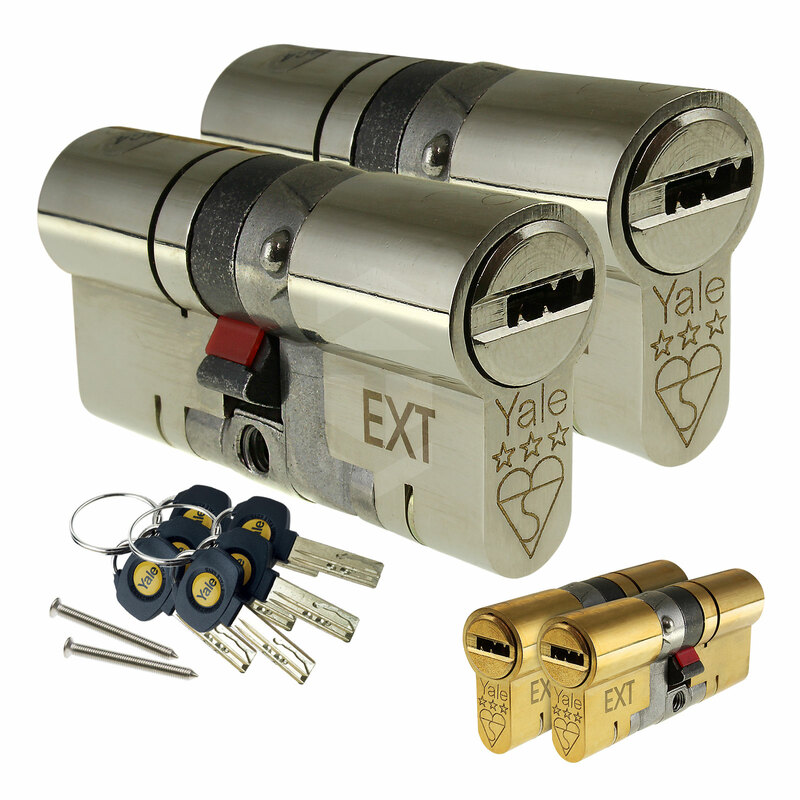 Contents 2 x Yale Platinum 3* Euro Cylinder Locks, 6 x Dimple & Groove Keys, 1 x Key Code Card and 2 x Fixing Screw. 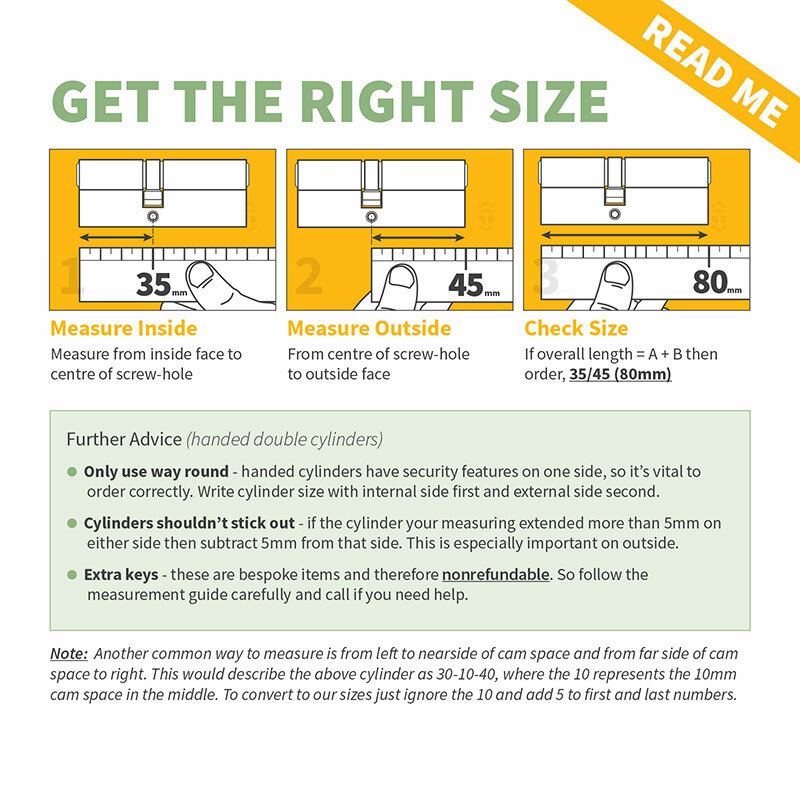 These cylinders have hardened security on the outside and can only be used one way, so be sure to measure correctly. 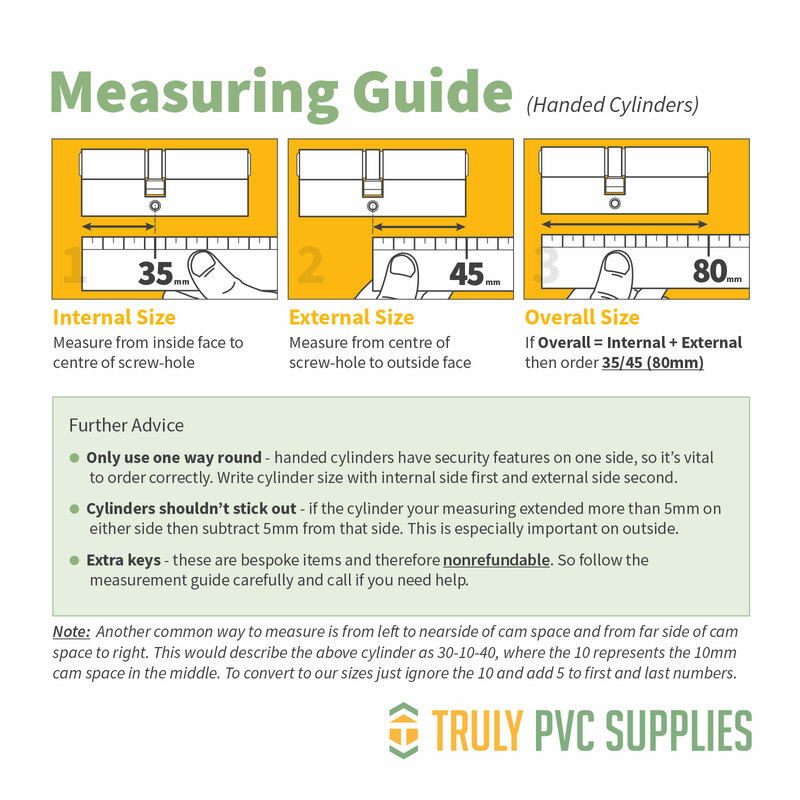 When ordering, you should provide the internal measurement first. 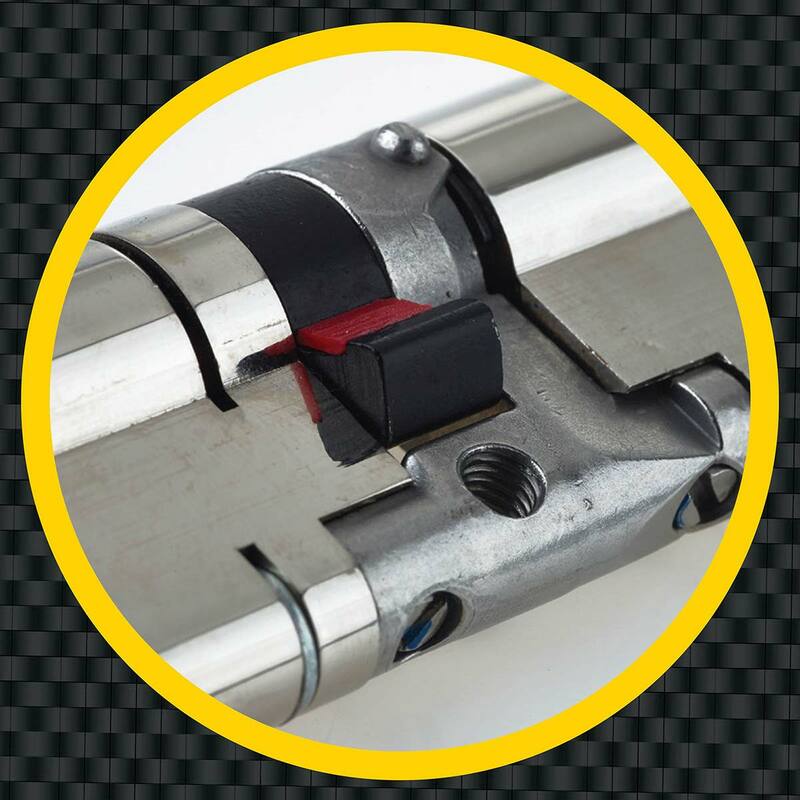 If the cylinder measures 35mm from centre of screw hole (under cam space) to the end inside property and 45mm from centre of screw hole to end outside property, then you should order 35/45 (80mm). Put your key in the lock and open the door. Remove the screw from edge, beneath the latch. Turn key while apply pressure to opposite end of cylinder. As you do the cam will line up with the lock and can be pulled out. The key usually needs to be turned approximately 25º clockwise or anti-clockwise. 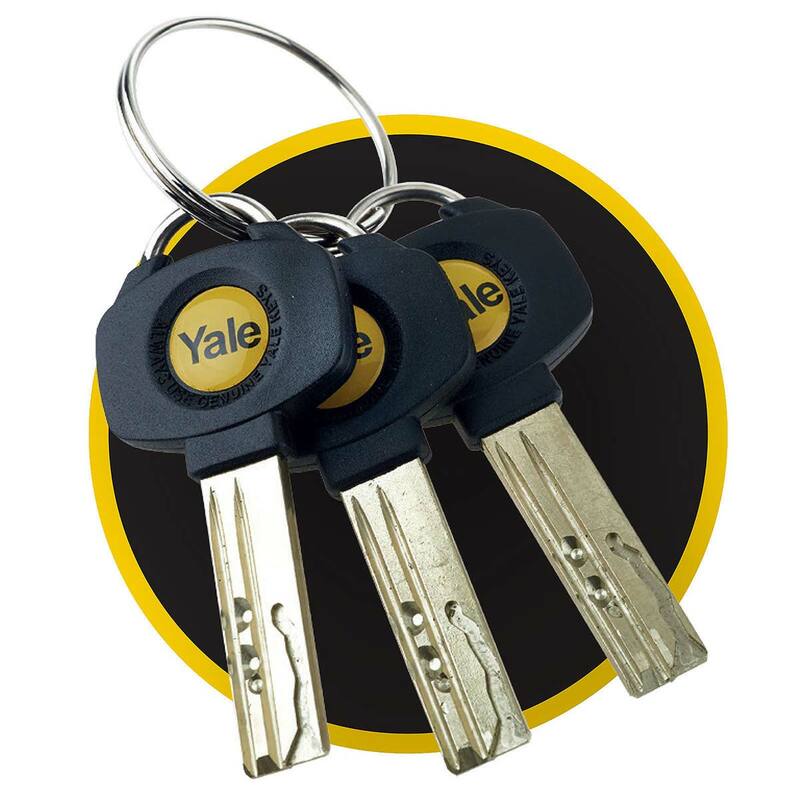 Yale recommend regular lubrication of your Yale cylinder locks to ensure continuous trouble free performance and operation. For this we recommend using a PTFE based lubricant. A small amount of lubricant should be applied to the key and then inserted into the cylinder. Rotate the key a couple of times in line with the normal locking function. Remove the key from the cylinder and wipe away any remaining lubricant to ensure it isn’t transferred onto other objects. Related links to "Yale Platinum 3 Star Keyed-Alike Euro Cylinders"
Customer review for "Yale Platinum 3 Star Keyed-Alike Euro Cylinders"